Aromatic, rich flavors of Asian cuisine come together to make this Chili-Garlic Tofu, a perfect vegetarian option to accompany stir fries and noodle dishes. I have never cooked tofu before. 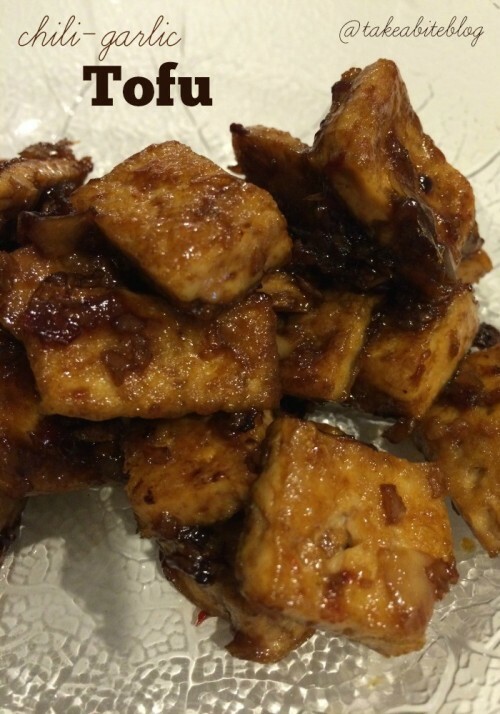 I am a tofu-cooking virgin. Yep, I admit it. I’ve only had it a few times in Pad Thai, but otherwise I always assumed it was just…gross. I’m happy to say that I proved myself wrong and am now a certified tofu-lover. Remember those Wok-Style Green Beans and homemade Chinese food dinner I told you about earlier this week? Well, my roommate was making tempura chicken in the wok to go along with the green beans and rice noodles we were making. I had to get a little creative since I didn’t really think a meal of just rice noodles and green beans would be acceptable for my appetite. Tofu was the first thing to enter my mind. Why? I have no idea. Since I’d never made it before and wasn’t really a huge fan, why would I want to risk making something I could potentially hate and then being left hungry. But with the abundance of Asian sauces and spices that were taking up space in our kitchen that day, I knew I could make a tasty marinade to drench the tofu. After all, tofu really doesn’t have much of its own flavor — it basically takes on whatever you cook it with. I was happy to find a “lite” firm tofu (I told you guys about it in my first Friday Features post) and got ready to try my hands at some serious vegetarian cooking. After playing around with garlic, ginger, soy sauce, oyster sauce, and chili-garlic sauce, I had some seriously tasty tofu on my hands. I mean, are you really surprised? Look at all that flavor!! 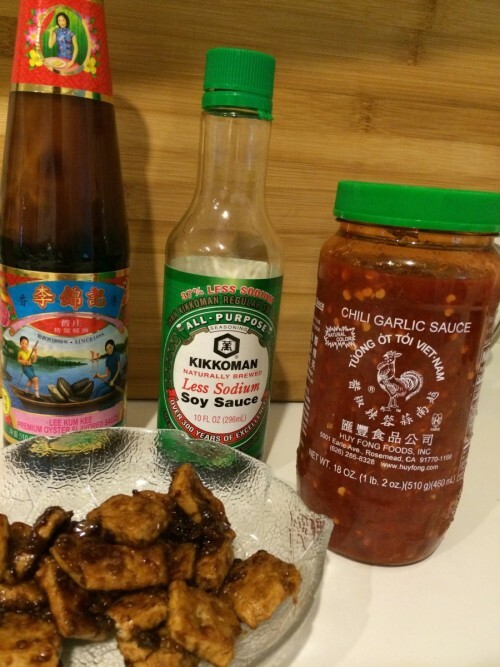 Chili-Garlic Tofu might be one of my new favorite go-to meals. It was yummy on its own but would also be great in stir-fries and noodle dishes. 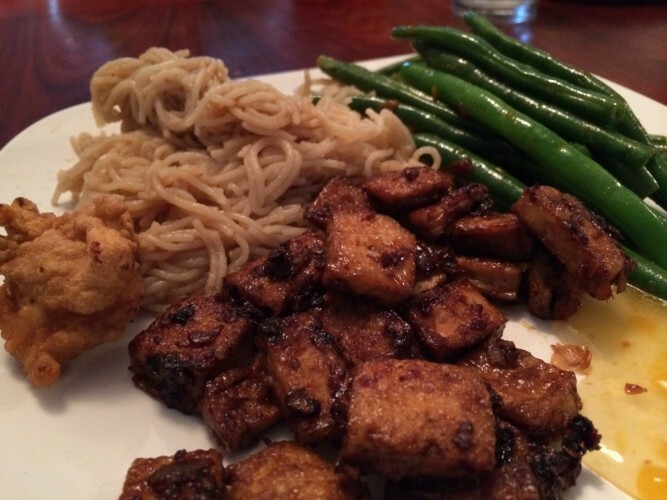 Now that I’ve started my tofu-cooking kick, I have got to try making my own Pad Thai! So excited to have this recipe, our daughter will just love this. Thanks so much for sharing your awesome recipe with Full Plate Thursday and have a great weekend! Thanks, Helen! Hope she enjoys the recipe! love tofu.. can’t remember the last time i made some! definitely know what i will be making for dinner tonight. thanks for the inspiration! Glad I could inspire you. I hope you enjoy it, Thalia! Try it, Rachel, you won’t be sorry!! We would love the flavor of this dish! Hope you have a great week and thanks so much for sharing your awesome recipe with Full Plate Thursday. Your post has been pinned with the party! The recipe seems to have disappeared – can you repost it? Looks great!